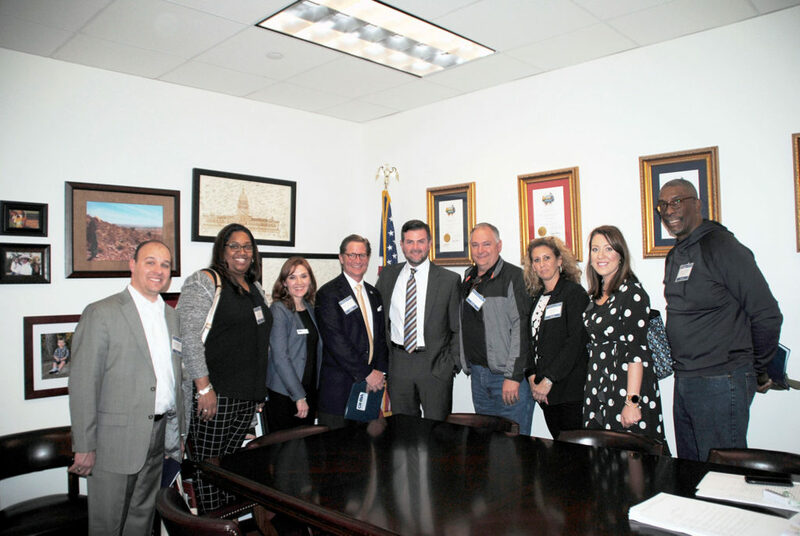 GHBA members meet with Senator Brandon Creighton to discuss GHBA priority bills. 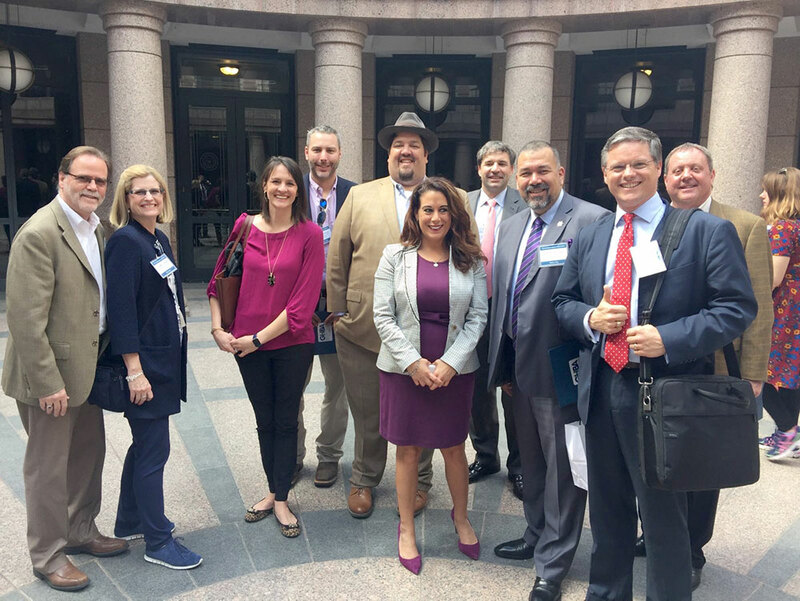 On the morning of March 20, GHBA members left Houston to make their way to Austin to participate in the Texas Association of Builders (TAB) biennial Rally Day at the Texas Capitol. Each session, Rally Day is a special opportunity for our members to meet and directly engage with our state delegation members on issues and legislation that affect the housing industry. 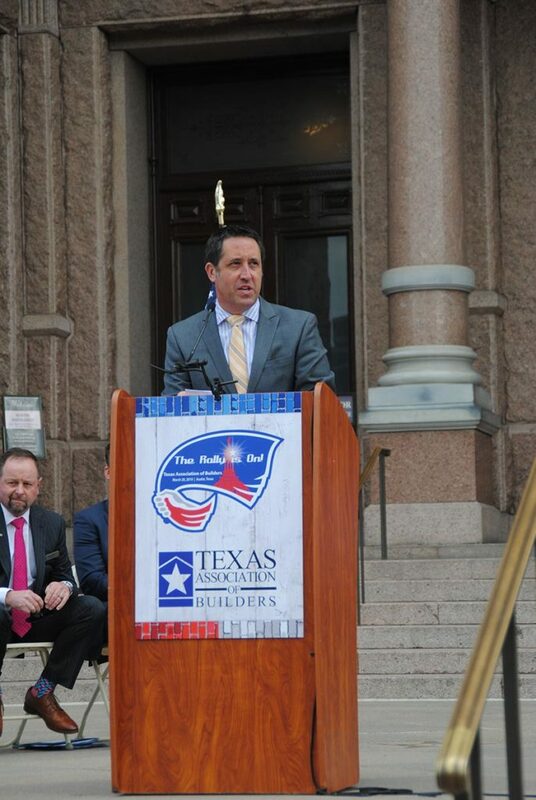 State Comptroller Glenn Hegar was the keynote speaker at Rally Day 2019. Once in Austin, the day started with Texas Comptroller Glenn Hegar addressing nearly 700 HBA members from across the state on the South Capitol steps. Comptroller Hegar’s message was simple, housing affordability and a predictable regulatory environment are key drivers in the success of the Texas economy — the tenth largest economy in the world. Following lunch, our teams made their way to the Capitol for an afternoon of meetings with our 46-member delegation. After a successful day of spreading the GHBA’s message of safeguarding housing affordability, advocating for appropriations for dollars to help Harvey recovery and fund flood mitigation infrastructure, and encouraging the continued use of MUDs to facilitate responsible and affordable growth, the participants boarded buses and made their way back to Houston. The 2019 Rally Day was a major success and the positive feedback we received from our delegation’s members and staff, as well as the value that our GHBA members feel the experience provides, validated the importance of our participation in the event. 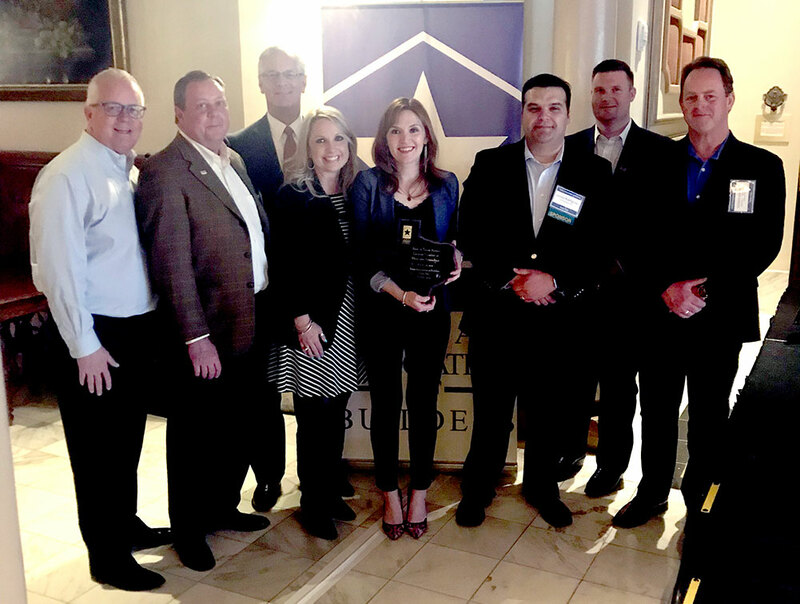 GHBA was recognized by TAB as once again having the largest presence at Rally Day for taking nearly 170 Houston area members! The Rally was on and our voices were heard! GHBA delegation accepts TAB’s award for the association that brought the most members to Rally Day. 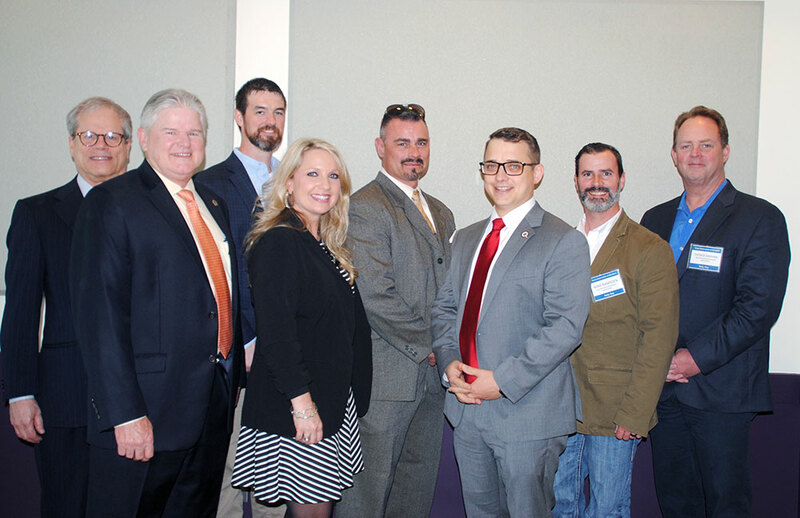 Pictured left to right: Mike Dishberger, Sandcastle Homes; Ed Taravella, TARACORP; Randy Jones, Terra Visions, LLC; D’Ann Brown, StrucSure Home Warranty; Casey Morgan, GHBA; James Fox, McCoy’s Building Supply; Matthew Reibenstein, Royal Design Build Co.; and Patrick Mayhan, Westin Homes. As the legislative session continues to march toward Sine Die (end of session) on May 27, the real work of the House and Senate has begun in earnest. Committees are hearing bills and the House and Senate are voting on legislation daily. The lack of progress can be confusing seeing as the session began back on January 8, but there are constitutional provisions that intentionally slow the legislative process down. Although members have 140 days to complete the business of the state, the only items that can be acted on within the first 60 days of the session are “emergency items” which are exclusively determined by the governor. We have now passed that deadline and the proverbial legislative floodgates have opened. In addition, members began filing bills on November 12 and now that the March 8 bill filing deadline has passed, we know the full scope of the measures that have been filed and what to monitor and track for the remainder of the session. There were over 7,200 bills filed this session. The legislature will debate major priorities facing our state, including property tax reform, public school finance reform and Harvey relief funding. 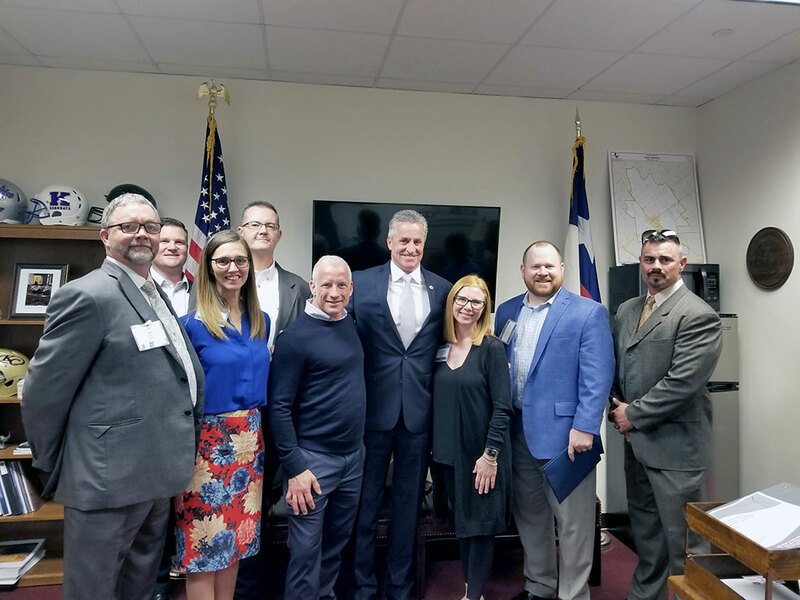 Along with those issues, there are hundreds of pieces of legislation that have been filed that could impact our industry, and the GHBA Government Affairs team will be active in working with our delegation in Austin to protect housing affordability for our region. The GHBA has been lobbying for appropriating money from the Economic Stabilization Fund (Rainy Day Fund) to help with both Harvey recovery and fund flood mitigation infrastructure. The legislature can rebuild and protect communities across Texas as it supplements the funds to cover unmet recovery needs and provides funds for future capital mitigation projects. We are advocating for the creation of a Texas-wide flood infrastructure fund to pay for future flood resilience projects that could prevent or reduce chances of flood damage. In addition, we are supporting appropriation to help maximize federal funding for recovery needs by covering the local match requirements for Texas communities that do not have the required dollars necessary to draw down substantial federal funding. The “big three” of Governor Greg Abbott, Lt. Governor Dan Patrick and Speaker Dennis Bonnen have all supported tapping the Rainy Day Fund for this type of spending and bills have been heard in both chambers with plans to fund both recovery and infrastructure dollars. 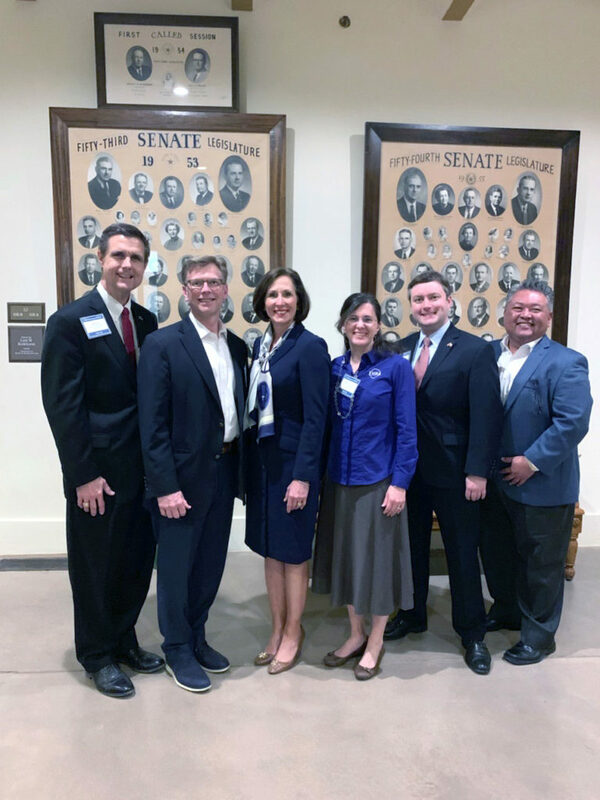 Several bills we are supporting are moving, including from our delegation, Senate Bill 6 by Senator Lois Kolkhorst (R-Brenham) and Senate Bill 7 by Senator Brandon Creighton (R-Conroe), as well as House Bill 478 by Representative Dade Phelan (R-Beaumont). House Bill 2439 by Representative Dade Phelan (R- Beaumont) and Senate Bill 1266 by Senator Dawn Buckingham (R- Lakeway) seek to prohibit cities from using building codes or other local ordinance powers to mandate the use of certain products in construction and result in the direct or indirect prohibition of other code approved products. It’s become a trend for local governments to pick winners and losers in the competitive market by abusing building codes for vendors, creating monopolies, increasing construction costs and reducing the viability of affordable housing. Examples of some mandates include: requiring all new construction to be 100 percent masonry, restricting to one type of insulation and mandating one specific pipe or tubing be used. This legislation would help protect Texas’ free market values and prohibit local governments from requiring only certain types of building products or construction methods, which effectively bans the use of other generally approved products that meet or exceed industry standards and building code requirements. 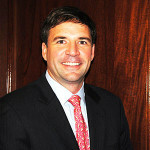 House Bill 2439 by Representative Geanie Morrison (R- Victoria) and Senate Bill 985 by Senator Lois Kolkhorst (R- Brenham) will help crack down on disaster scam artists by criminalizing violations of the disaster remediation contracts statute in order to protect those residents hit by disasters. As recent flooding events have shown, Texas’ current disaster remediation statute does not go far enough to protect vulnerable victims of tragedy from scam artists who take money without doing the agreed upon work. This legislation would enhance penalties to either a class B misdemeanor or third-degree felony for scammers who violate the disaster remediation statute by requiring upfront payments without having a physical business address in the county or adjacent county for at least one year. These criminal penalties would not apply to law-abiding contractors, builders or remodelers that have held a physical business address in the county or adjacent county for at least one year and require upfront payments or deposits. 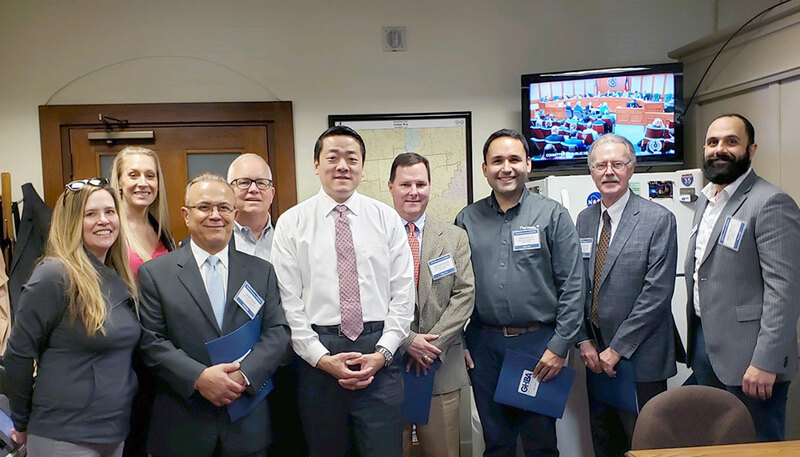 Local members meet with Representative Gene Wu at Rally Day 2019. GHBA members were pleased to meet with Representative Shawn Thierry at Rally Day 2019. Representative Sam Harless discusses key housing issues with GHBA delegation members at Rally Day 2019. GHBA Rally Day teams spend time with with Representative Mary Ann Perez. 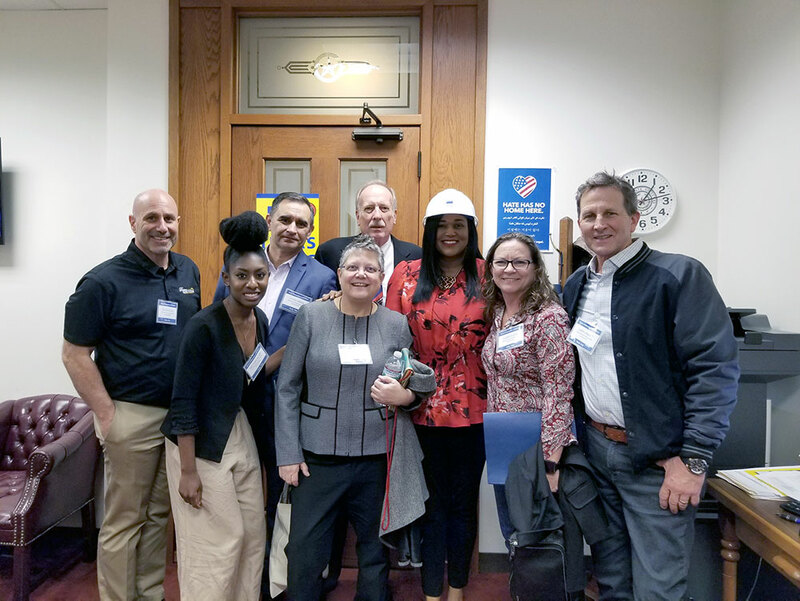 Sharing homebuilding priorities with Representative Gina Calanni at Rally Day 2019. Representative Briscoe Cain meets with GHBA members to discuss homebuilding-related legislation. 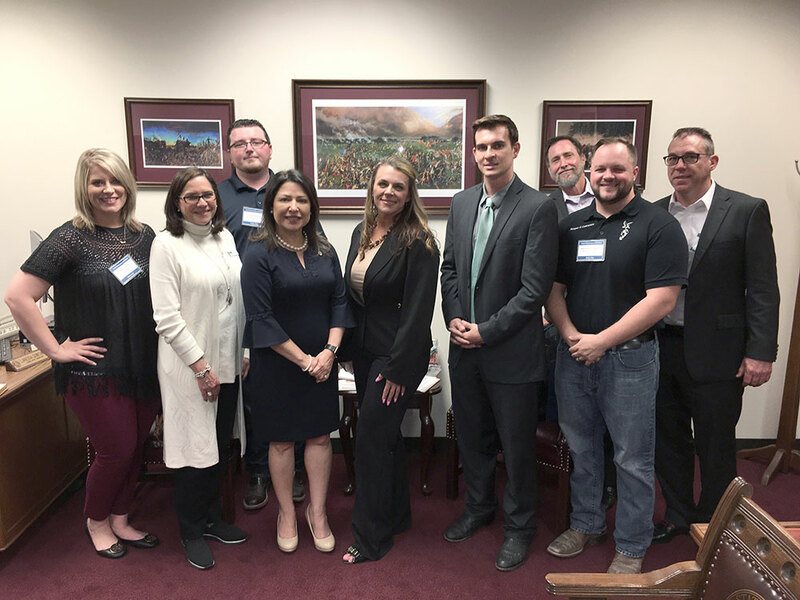 Meeting with Senator Lois Kolkhorst at Rally Day 2019 in Austin, TX.